The 3D print application Autodesk Print Studio (see older article) for preparing 3D prints of models and for communication with 3D printers now supports in the newly released version 1.6.0 also the new XML-based printing format 3MF. Besides the STL and OBJ models you can print also models supplied in the .3mf-extension files. Autodesk is a founding member of the 3MF consortium defining the 3MF format. 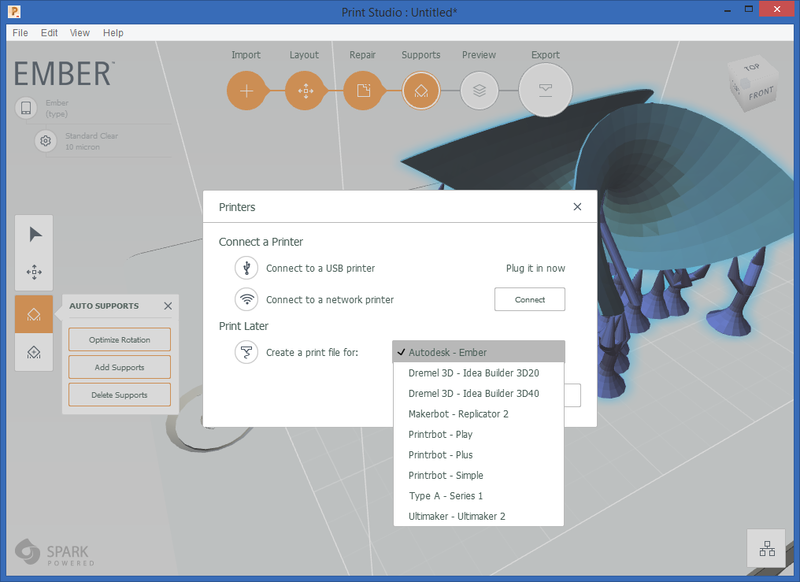 Print Studio, built on the Autodesk Spark platform, is a part of the installation of Inventor and other Autodesk products. You can also use it separately. You can use Autodesk Print Studio also for conversion of mesh models between the formats STL, OBJ and 3MF as it supports not only import but also export of 3D data in these formats. But its main purpose is 3D printing. You can use Windows 10 embedded support for 3D printing - this system support was jointly developed by Autodesk and Microsoft.